Would you like the opportunity to reduce the taxman’s take from your own and your family’s income? If so read on, as carrying out an annual review of your tax affairs could significantly reduce your own and your family’s tax liabilities. Throughout this publication the term spouse includes a registered civil partner. We have included the relevant amounts for 2014/15 and where the 2015/16 figures are available these are shown in brackets. Currently, a transfer of just £1,000 of savings income from a higher rate (40%) taxpaying spouse to one with income below the personal allowance of £10,000 (£10,600) may save up to £400 a year. For those paying the additional rate of tax of 45%, which applies to those with taxable income above £150,000, the saving may be ¤450 a year. Historically, it has not been possible to transfer the personal allowance between spouses. However, in a change to the rules a transfer of up to £1,060 of the personal allowance is possible for 2015/16 where neither spouse pays tax at above the basic rate. Income from spouse jointly owned assets is generally shared equally for tax purposes. This applies even where the asset is owned in unequal shares unless an election is made to split the income in proportion to the ownership of the asset. The exception is dividend income from jointly owned shares in ‘close’ companies which is split according to the actual ownership of the shares. Close companies are broadly those owned by the directors or five or fewer people. Care must be taken because HMRC may look at such situations to ensure that they are commercially justified. If a spouse is employed by the family business, the level of remuneration must be justifiable and the wages actually paid to the spouse. The National Minimum Wage rules may also impact. Want a ‘Nest Egg’ for your children? A Junior ISA (for children born from 3 January 2011) or Child Trust Fund (CTF) accounts offer tax free savings opportunities for children. Existing CTF accounts continue alongside the Junior ISA (a child can only have one type). The government has previously decided that a transfer of savings from a CTF to a Junior ISA should be permitted at the request of the registered contact for the CTF. The government has confirmed the measure will have effect from 6 April 2015. Both CTF and Junior ISA accounts allow parents, other family members and friends to invest up to £4,000 (£4,080) annually in a tax free fund for a child. There are no Government contributions and no access to the funds until the child reaches 18. Children or any other person whose personal allowances exceed their income are not liable to tax. Where income has suffered a tax deduction at source a repayment claim should be made. In the case of bank or building society interest, a declaration can be made by non-taxpayers to enable interest to be paid gross. Tax credits on dividends are not repayable so non-taxpayers should ensure that they have other sources of income to utilise their personal allowances. If the payment of bonuses to directors or dividends to shareholders is under consideration, give careful thought as to whether payment should be made before or after the end of the tax year. The date of payment will affect the date tax is due and possibly the rate at which it is payable. Remember that any bonuses must generally be provided for in the accounts and actually be paid within nine months of the company’s year end to ensure tax relief for the company in that period. Careful planning before 5 April 2015 may be particularly useful for individuals with high incomes. The effect of deferring payments may save paying the High Income Child Benefit Charge for those with incomes in excess of £50,000, personal allowance for those with an income in excess of £100,000 and 45% tax for those with an income in excess of £150,000. Conversely, if these reliefs have already been lost for this year then bringing payments forward may help save them next year. Alternatively, consider the payment of an employer’s pension contribution by the company. This is generally tax and National Insurance contribution (NIC) free for the employee (but see Pensions section). Furthermore, the company should obtain tax relief on the contribution, provided the overall remuneration package is justifiable. It is common in family companies for a director/shareholder to have ‘loan’ advances made to them by the company (e.g personal expenses paid by the company). These are accounted for via a ‘director’s loan account’ with the company which may become overdrawn. Where the overdrawn balance at the end of an accounting period is still outstanding nine months later a tax charge arises on the company. Where the balance is repaid there is no tax charge. Rules have been introduced to catch certain arrangements where loan balances are repaid but shortly afterwards the company provides another loan to the shareholder. These rules do not apply where there is a genuine repayment through the award of a valid bonus/dividend. If monies are repaid and then a new loan provided in other situations there may be a tax charge. If you are concerned about whether this could apply to your company, we would be happy to review this area. Currently the AIA gives a 100% write off on most types of plant and machinery costs, but not cars, of up to £500,000 per annum from April 2014 (1 April for companies 6 April for unincorporated businesses). The AIA is due to revert back to £25,000 from 1 January 2016, although it is a favourite area for budget announcements of increases or extensions. Special rules apply to accounting periods straddling April 2014 and January 2016 when the amounts of available AIA changes. Clearly where full relief is not obtained in the initial period there will be further tax relief in subsequent years but maximising tax relief early has an important impact on tax cash flow.Please contact us for further advice if you have any plans for new plant and machinery purchases. The timing and method of such acquisitions may be critical in securing the maximum 100% entitlement available. Few avoid working for others at some time in their life and most will have encountered the PAYE system operated by employers to collect the income tax and NIC due on wages and salaries and to collect the tax on benefits. Ensuring the right amount of tax is taken relies on a PAYE code, issued by HMRC and is based on information given in a previous self assessment return or supplied by the employer. The employee, not the employer, is responsible for the accuracy of the code. Code numbers try to reflect both your tax allowances and reliefs and also any tax you may owe on employment benefits. For many employees matters are simple. They will have a set salary or wage and only a basic personal allowance. Their code number will be 1000L (1060L) and the right amount of tax should be paid under PAYE. For those who are provided with employment benefits or have more than one job and/or receive pension income, the code number is generally adjusted to collect the tax due, so that there are no nasty underpayment surprises. HMRC may also try to collect tax on untaxed income or tax owing from an earlier year. The code may even try to allow for higher or additional rate tax that has to be paid on investment income. With so many complications and some guess work involved, getting the code exactly right can be difficult and the right amount of tax will not always be deducted. If you are unsure about your code and are anxious not to end the tax year under or overpaid, then you should have it checked. Please talk to us. Employer provided car benefits are calculated by reference to the CO2 emissions and the car’s list price. The level of business mileage is not relevant. The greener the car, the lower the percentage charge. Percentage charges are increasing year on year, and for 2014/15 range from 0% to 35%. The range increases for 2015/16 starting at 5% and rising to 37% of the list price of the car. Check your position to confirm that an employer provided car is still a worthwhile benefit. It may be better to receive a tax free mileage allowance of up to 45p per mile for business travel in your own vehicle. If an employer provided car is still preferred, consider the acquisition of a lower CO2 emission vehicle on replacement to minimise the tax cost.Where private fuel is provided, the benefit charge is also based on CO2 emissions. We can review your procedures to ensure no unnecessary tax charges arise. If loans made by the employer to an employee exceed £10,000 at any point in a tax year, tax is chargeable on the difference between the interest paid and the interest due at an official rate – currently 3.25%. An exception applies for certain qualifying loans – please contact us for information. A capital loss can be claimed on an asset that is virtually worthless. Where the asset is of ‘negligible value’ by 5 April 2015 the capital loss can be used in 2014/15. Those with significant pension savings (in excess of £1.25 million) may be able to protect an increased pensions entitlement by utilising individual protection (IP14) which provides an individual who has pension savings of between £1.25 million and £1.5 million as at 5 April 2014, with a personal lifetime allowance based upon the pension savings at that date. Individuals can make further pension contributions although when benefits are taken any pension savings above the individual’s personal lifetime allowance will be subject to a charge. Those who have already opted for Fixed Protection, benefit from a higher lifetime allowance but cannot make further pension contributions. When choosing between investments always consider the differing levels of risk and your requirements for income and capital in both the long and short term. An investment strategy based purely on saving tax is not advisable. Individual Savings Accounts (ISAs) provide an income tax and capital gains tax free form of investment. The maximum investment limits are set for each tax year, therefore to take advantage of the limits available for 2014/15 the investment(s) must be made by 5 April 2015. An individual aged 18 or over may invest in one cash and one stocks and shares ISA per tax year but limits apply. From 1 July 2014 ISAs were reformed into a simpler product, the New Individual Savings Accounts (NISA) and all ISAs become NISAs. Savers are able to subscribe the full amount into a cash NISA if they choose to. They are also be able to transfer amounts between stocks and shares NISAs and cash NISAs. The total annual subscription limit for ISAs for 2014/15 was originally set at £11,880 of which up to £5,940 could be placed in a cash ISA. This limit applied to investments made between 6 April and 30 June 2014. 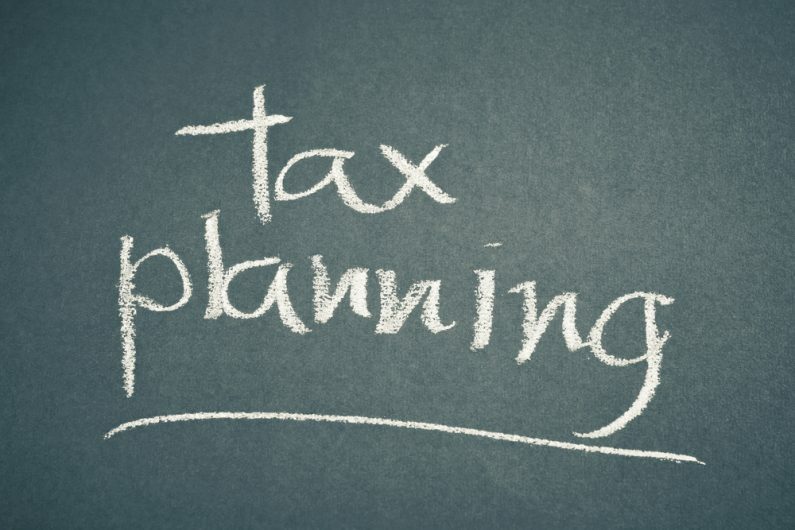 From 1 July 2014 a NISA allows you to invest up to £15,000 (£15,240) in a tax year. Individuals who have already invested £11,880 can therefore top up to £15,000 by 5 April 2015. National Savings and Investment bank (NS&I) products are taxed in a variety of ways. Some, such as National Savings Certificates, are tax free. Single premium life assurance bonds and ‘roll up’ funds provide a useful means of deferring income into a subsequent period when it may be taxed at a lower rate. Finally, review your borrowings. Full tax relief is given on funds borrowed for business purposes.